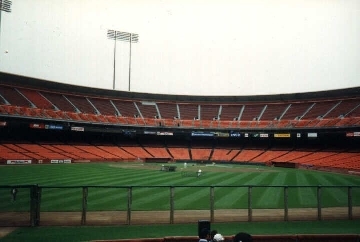 Blustery, cold and foggy are three words that defined the San Francisco Giants tenure at Candlestick Park. 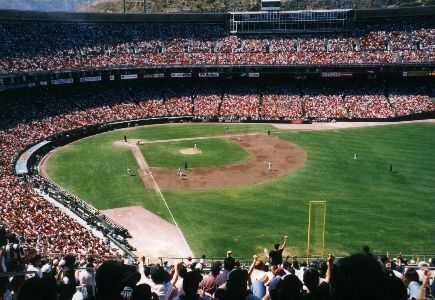 For 38 seasons, fans came out to “the Stick” as it was known, to see players such as Barry Bonds, Willie McCovey and Willie Mays play. 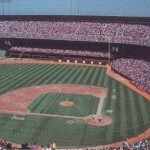 The history of the Giants franchise began on the East Coast in New York City when the franchise was established in 1883. 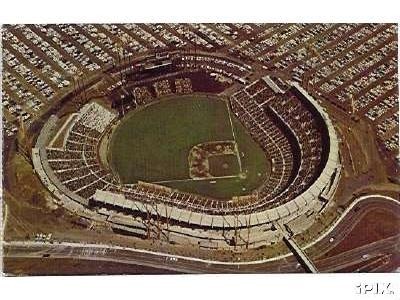 Here they played at four different ballparks known as Polo Grounds. 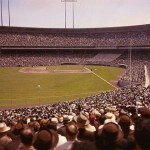 By the 1950s the Giants began looking to relocate to replace their aging ballpark. 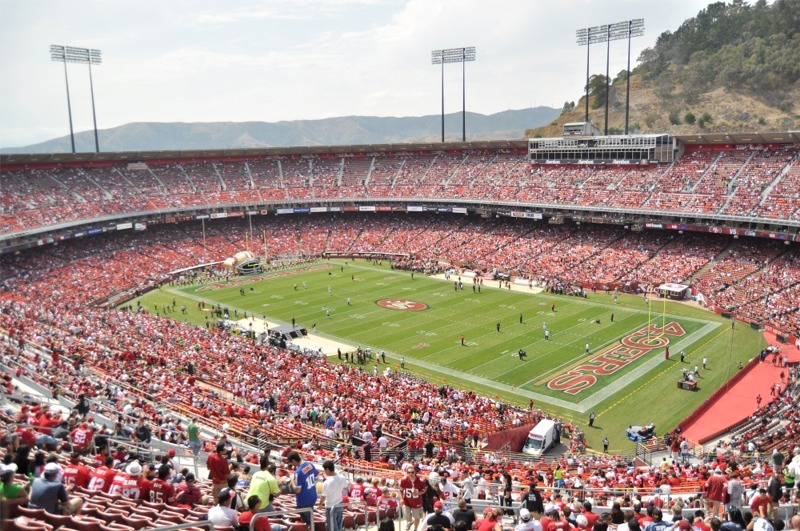 Across the country in San Francisco, voters approved a $5 million bond for construction of a new stadium if a franchise were to relocate to the city. 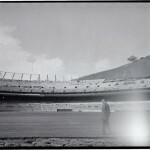 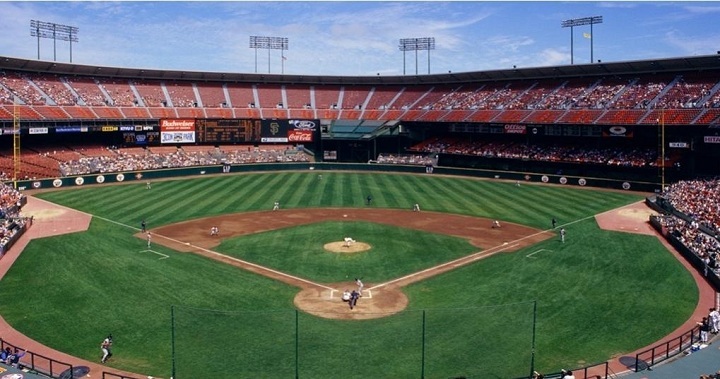 In Summer 1957, majority owner of the Giants, Horace Stoneman, announced that the club would move to San Francisco. 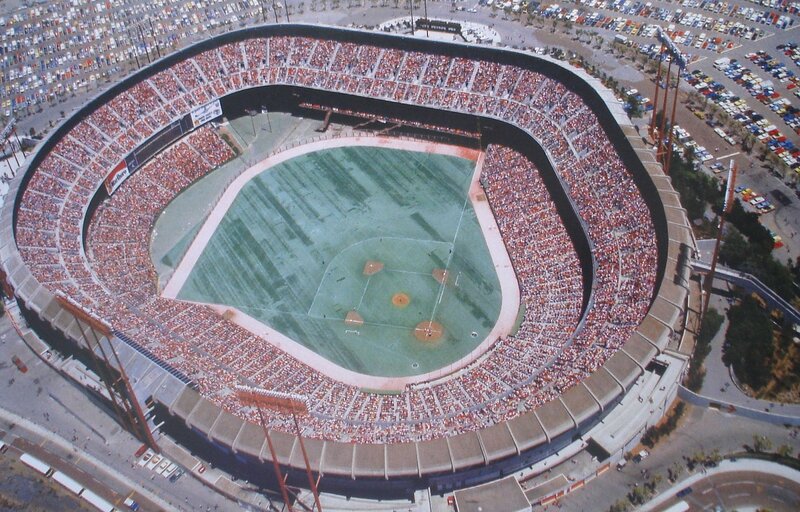 Not only were the Giants moving to California, but the Dodgers moved from Brooklyn to Los Angeles. 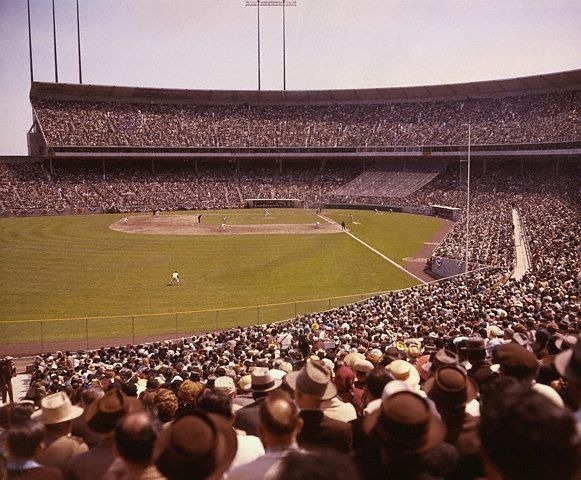 Stu Miller was blown of the pitchers mound during the 1961 All-Star game. 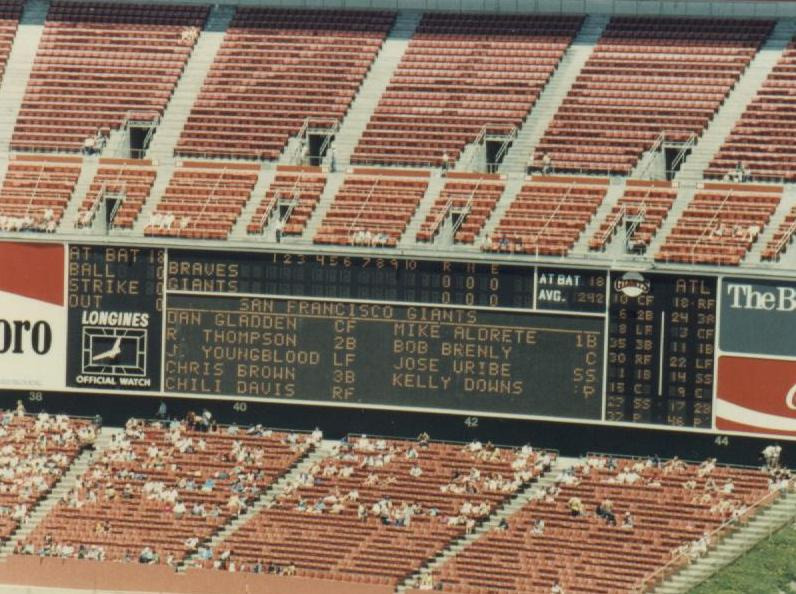 500th homerun by Houston’s Eddie Mathews on July 14, 1967. 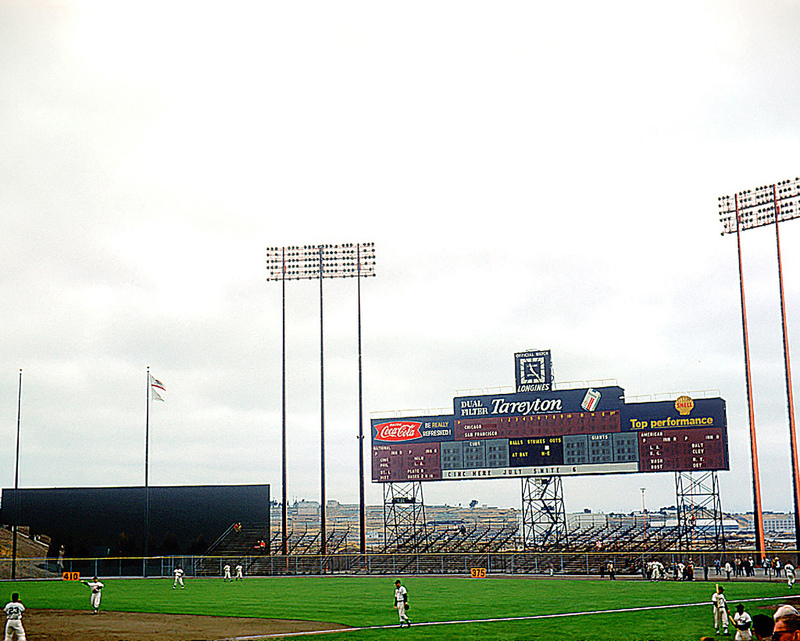 Willie Mays’ 3,000th hit on July 18, 1970. 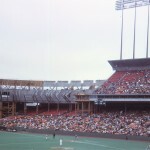 Willie McCovey hits 521 homeruns during his career. 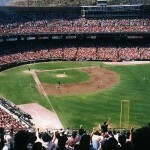 Earthquake before start of Game 3 of the 1989 World Series on October 17, 1989. 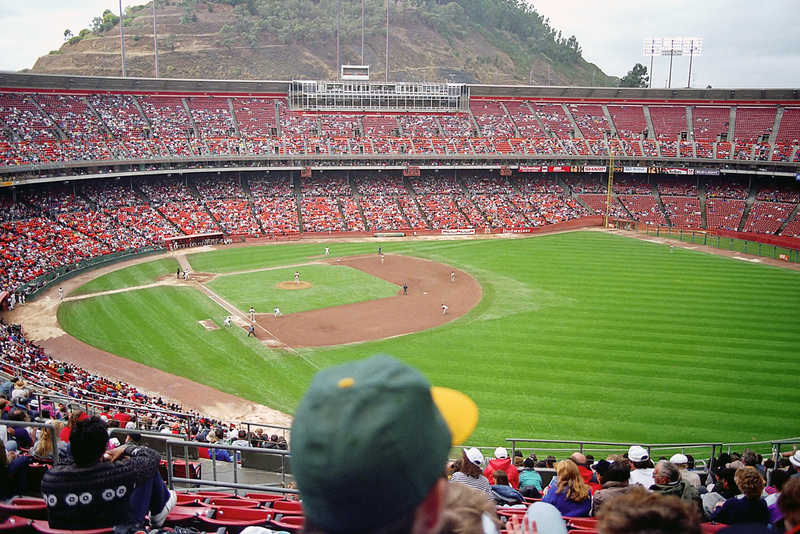 Barry Bonds hits 40 homeruns, and steals 40 bases during the 1996 season. 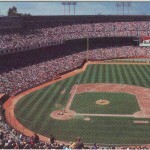 The Giants made their debut in the City of San Francisco in 1958. 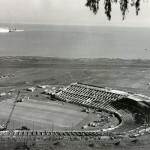 Although funding had been authorized for construction of a new stadium, it had not yet been built by the time the Giants moved to the city. 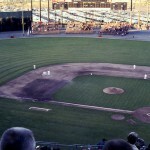 For two seasons the club played at Seals Stadium, a 23,000 seat minor league ballpark. 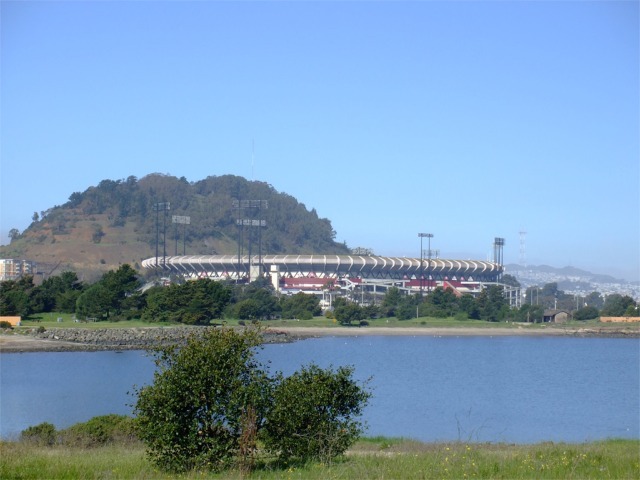 Two locations were proposed for a new stadium, downtown and at Candlestick Point. 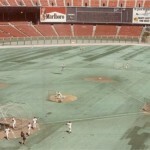 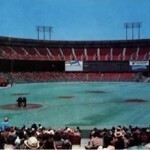 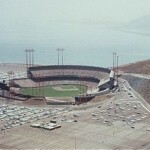 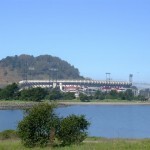 The site at Candlestick Park was purchased at a cost of $2.7 million as the city already owned an adjoining 31 acres. 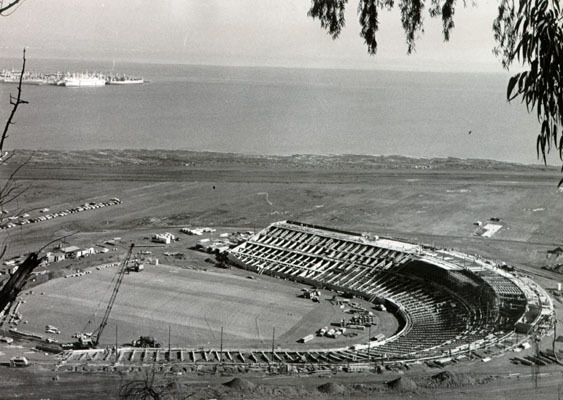 Construction of the reinforced concrete stadium began in August 1958. The stadium was engulfed in controversy as it was constructed including complaints from nearby neighborhoods, a grand jury investigation and construction delays from a Teamster strike. 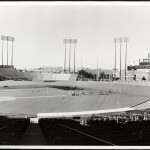 The Giants had hoped to open the ballpark in September 1959 but these delays pushed the opening to the following season. 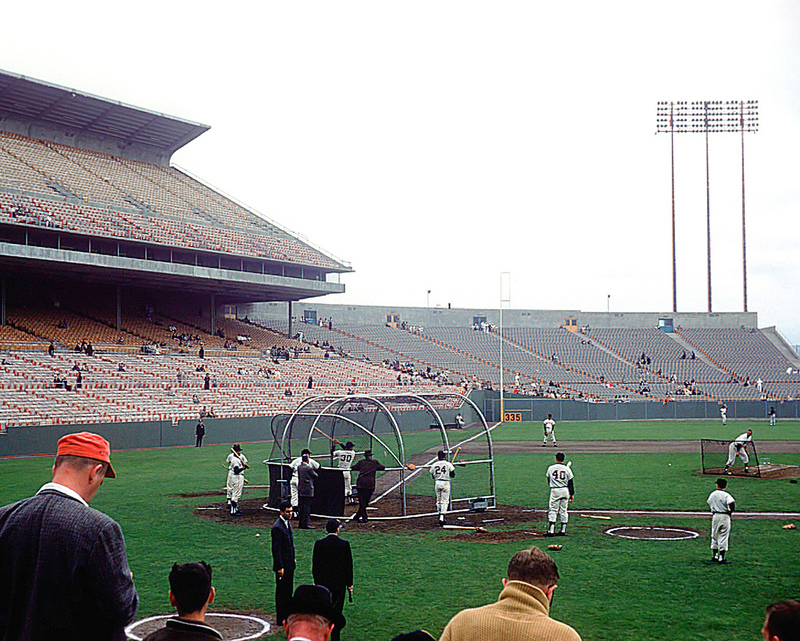 Named after its location, the San Francisco Giants played their first game at Candlestick Park on April 12, 1960 against the St. Louis Cardinals. 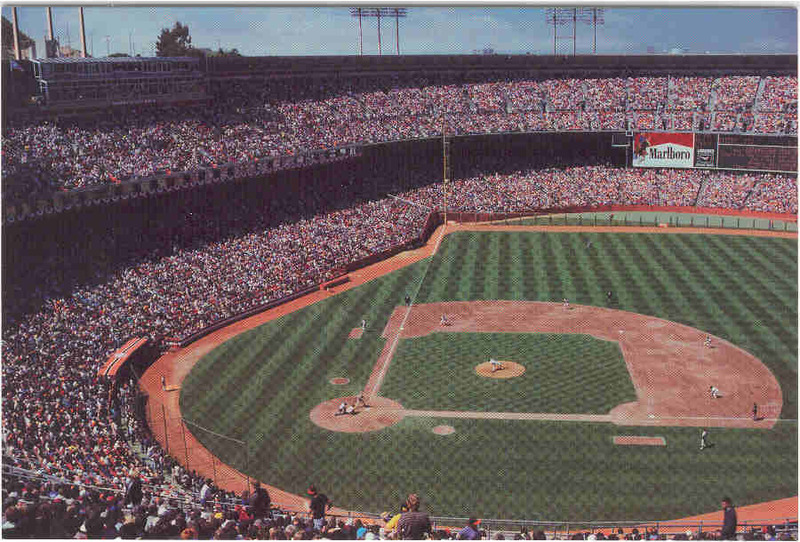 With a seating capacity of 42,553 the grandstand consisted of two main seating decks. 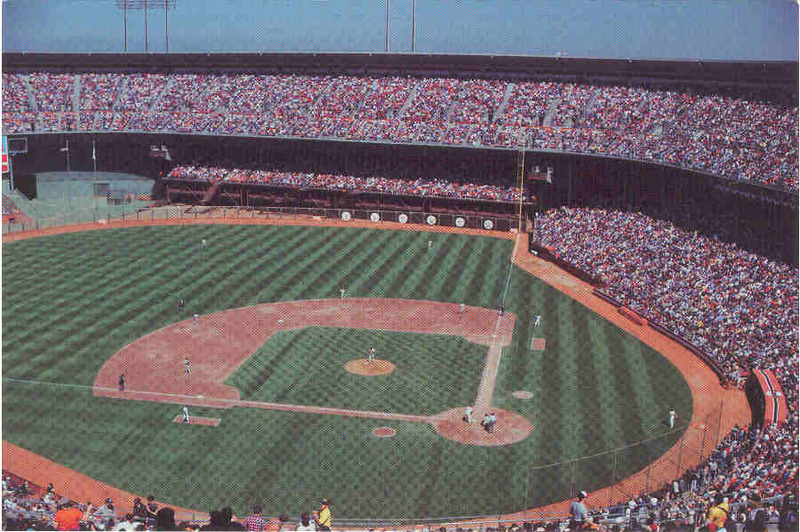 The lower deck extended from behind homeplate and down the first base line, down the third base line and around the left field foul pole into left centerfield. 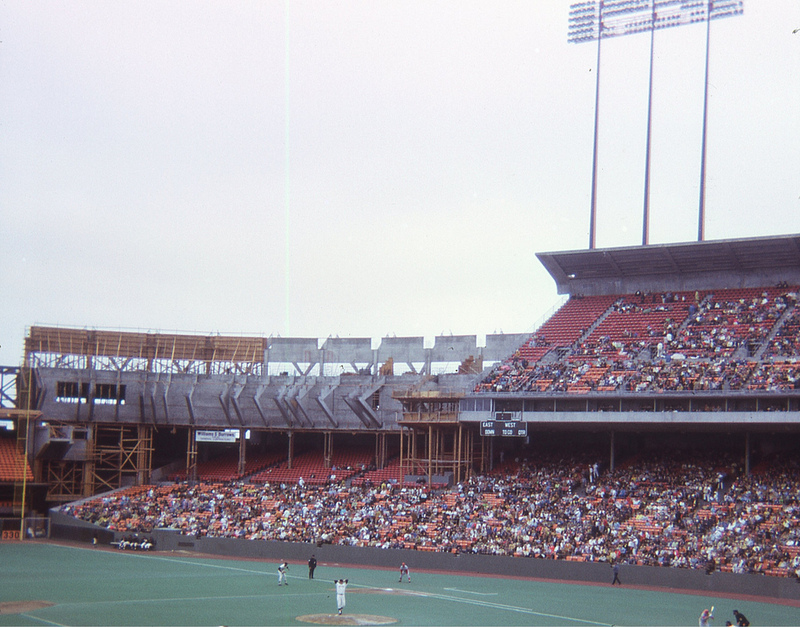 The upper deck extended from homeplate down both the first and third base lines. 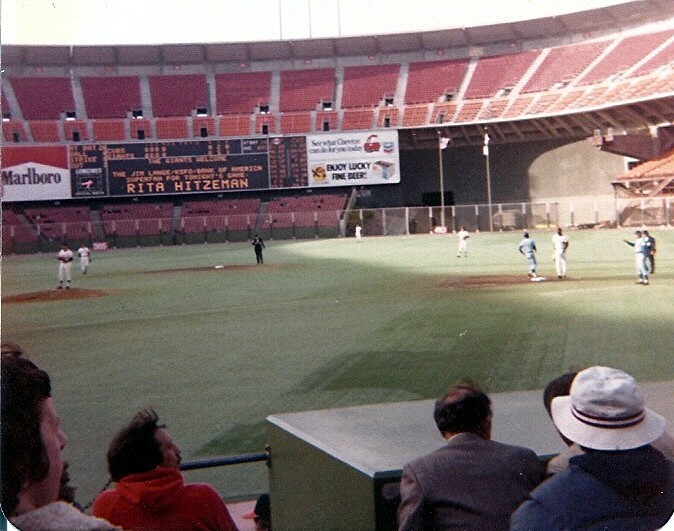 A small section of bleachers were located in right center field and the scoreboard was located above the hitters backdrop in centerfield. 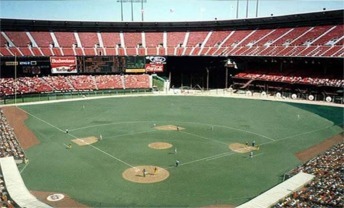 Original dimensions at the stadium were 330 ft. (left), 420f ft. (center), and 335 ft. (right). 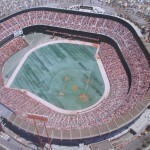 Not long after its opening it became apparent that the weather would play a factor into many games played at Candlestick Park. 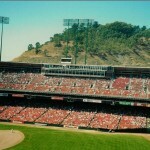 Although it could be a nice, warm sunny day at the ballpark, it could also be very windy. 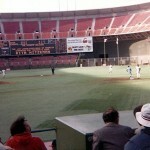 Once the sun set, the temperatures dropped and fog was present sometimes. 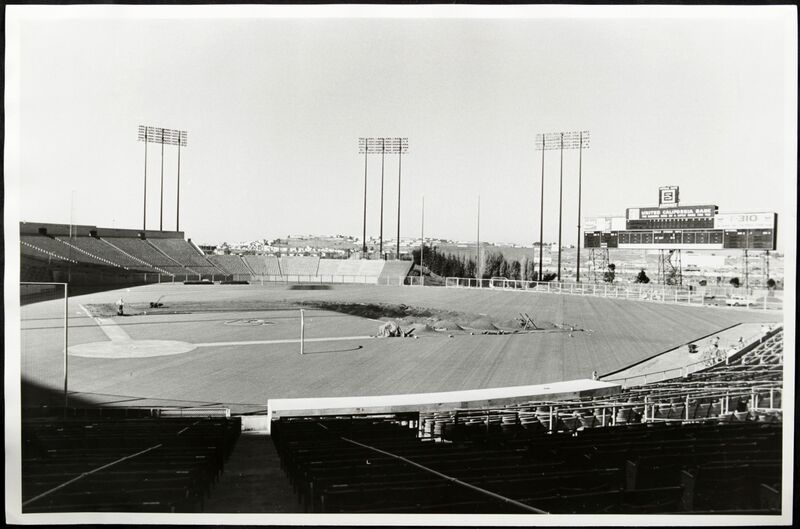 Half of Candlestick Park’s seats were originally to be heated, but because the piping was placed to deep into the cement, the radiant heating never worked. 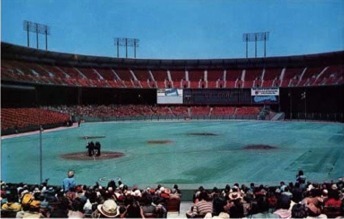 It could get so windy at Candlestick Park, that at the 1961 All-Star Game, Stu Miller was blown off balance by a gust of wind. 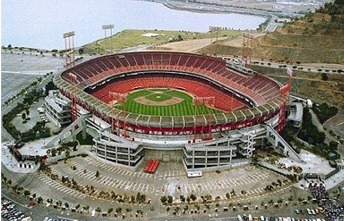 Discussions of expanding the stadium to accommodate the San Francisco 49ers (NFL) began as early as 1962. 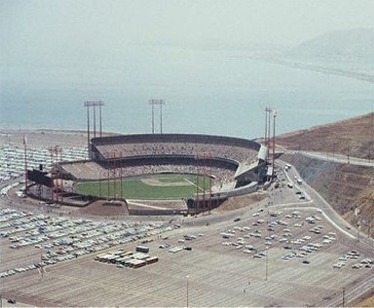 A decade passed before this became a reality when $16.1 million was spent to expand the stadium between 1971 and 1973. 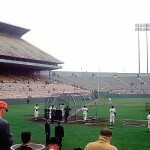 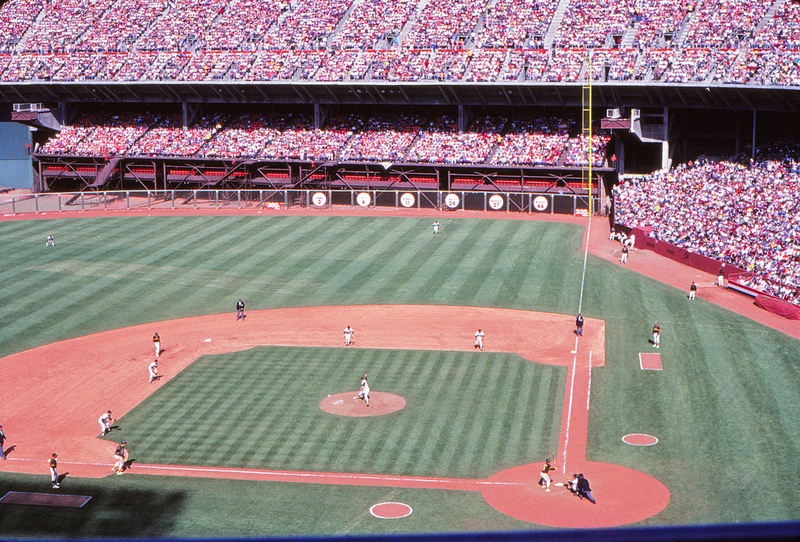 This expansion project included enclosing the entire stadium that increased the seating capacity to 59,000, adding roll-out stands for conversion between baseball and football, replacement of all original wooden seats with new orange plastic seats and the addition of elevators and escalators. 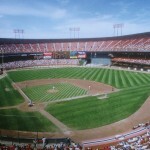 The In the mid 1970s Giants owner Horace Stoneman wanted to leave San Francisco because the team was struggling to attract fans. 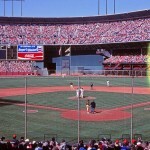 Stoneman nearly sold the team to a group in Toronto before Bob Lurie bought the team in 1976, keeping them in San Francisco. 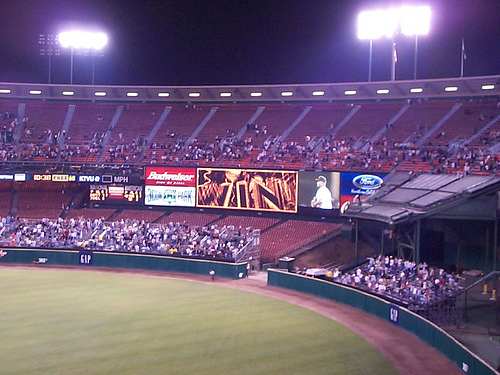 Lurie wanted a new stadium constructed downtown or either have Candlestick Park domed. 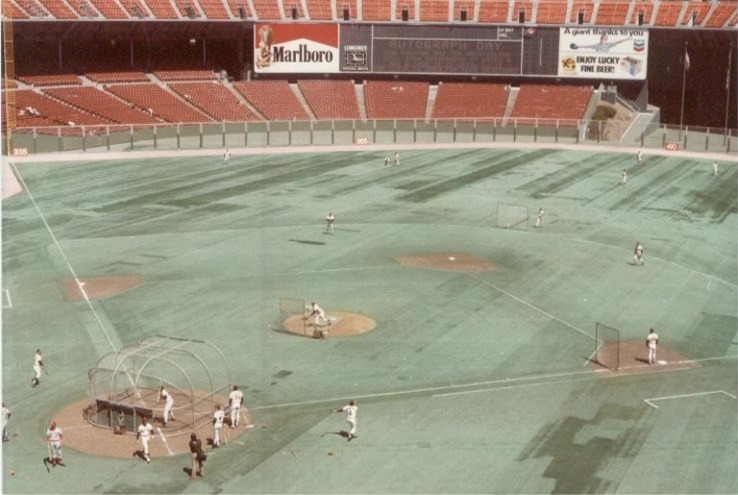 Neither of these ever happened even after Mayor Dianne Feinstein proposed adding a dome to the stadium in 1985. 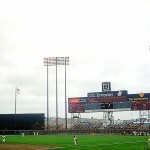 Instead $30 million was spent on improving the stadium by adding a new scoreboard, more concessions and luxury suites. 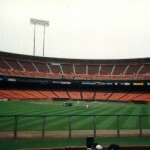 In 1994 several upgrades were made to the stadium including new dugouts, box seats along the first and third base lines, bleachers in left field and a new video/scoreboard. 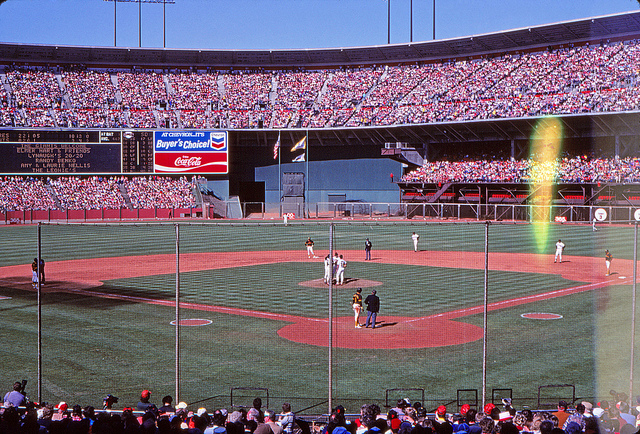 A fog horn was also installed, going off anytime a Giants player hit a homerun. 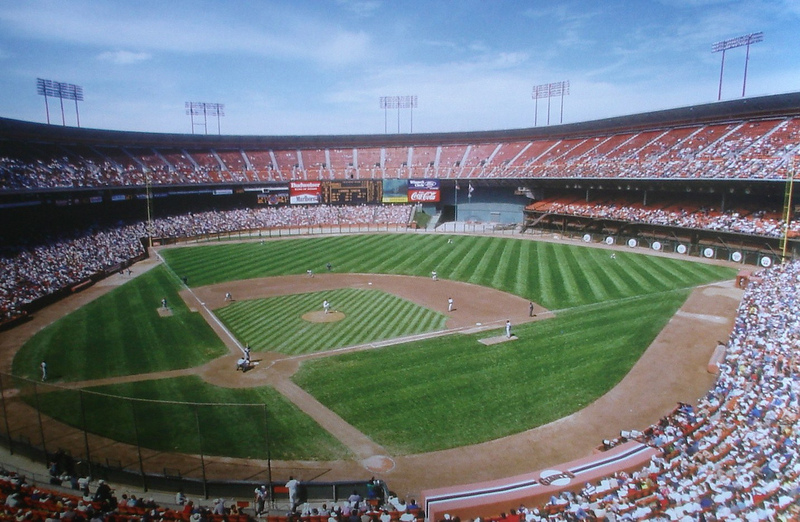 Candlestick Park remained basically the same throughout the Giants tenure at the stadium. 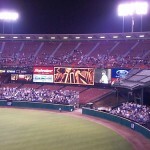 The enclosure of the stadium helped reduce the wind, but it was still present during games. 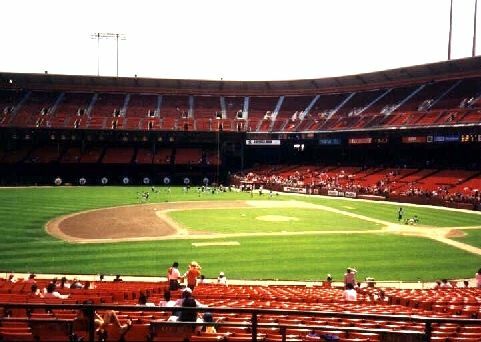 A major earthquake shook Candlestick Park before the start of Game 3 of the 1989 World Series between the Giants and the Oakland A’s. 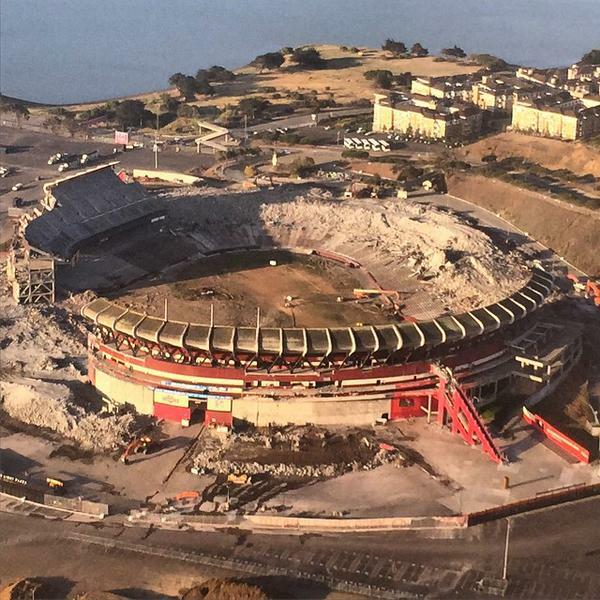 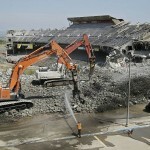 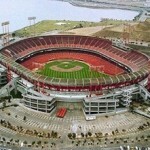 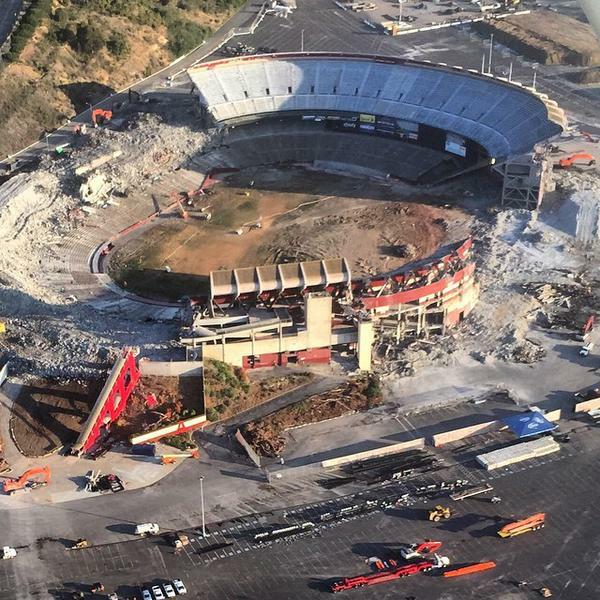 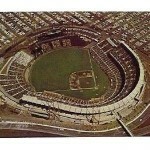 However, Candlestick Park did not collapse as there was only minor damage to the stadium. 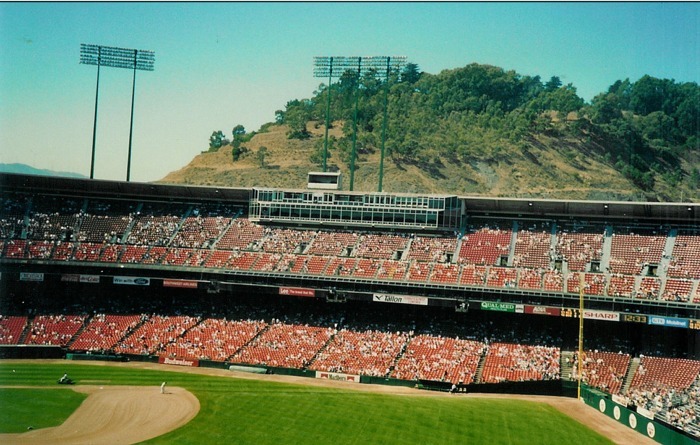 In 1993, the Giants began lobbying for a new ballpark. 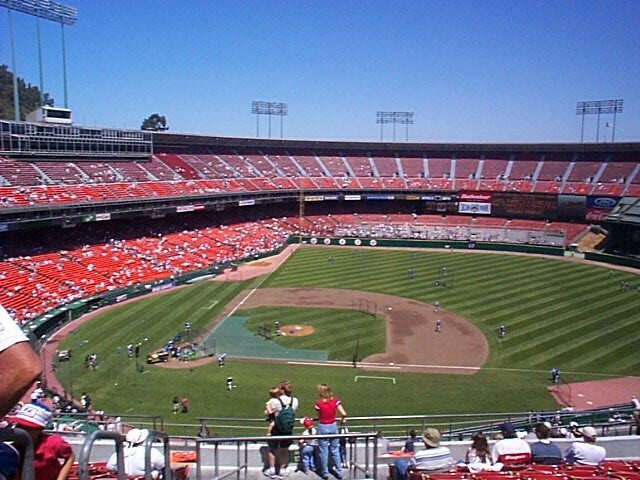 Construction on the Giants new ballpark, AT&T Park, began in 1998 and the last Giants game at Candlestick Park was on September 30, 1999. 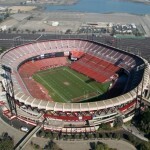 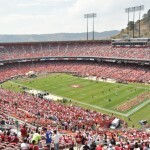 The 49ers remained tenants at the stadium until playing their final game at Candlestick Park on December 23, 2013. 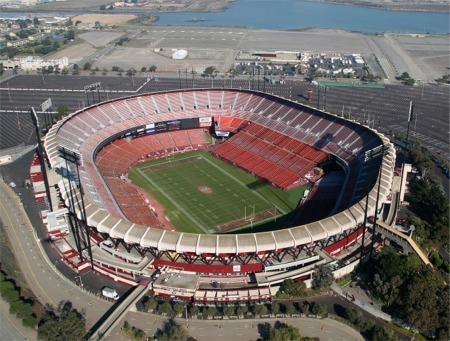 They moved into a new football only stadium, Levis Stadium, in Santa Clara, CA in 2014. 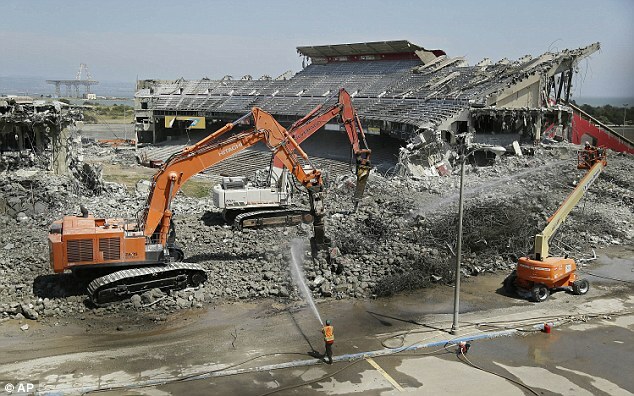 Candlestick Park was demolished in 2015 and will be redeveloped into a mix use of retail, housing, commercial and park areas. 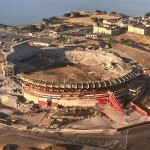 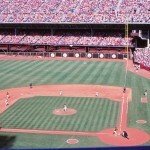 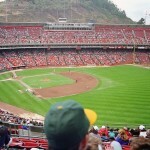 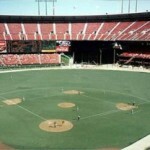 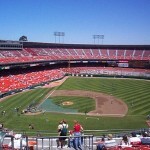 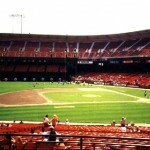 Candlestick Park was the home to many great teams and players throughout its existence. 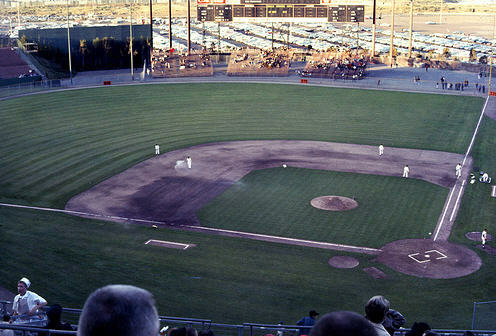 It hosted two MLB All-Star Games and World Series, eight NFC Championship football games, countless other sporting events and concerts including the Beatles last concert in 1966. 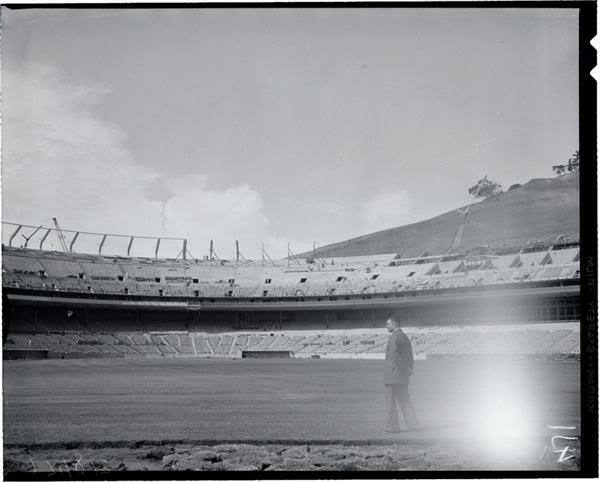 However, the stadium will go down in history as one of the coldest stadiums in any sport with its strong, gusty winds, dense fog and chilly temperatures.